Have you tried paddle boarding?? Have you SUPed to Hell’s Gate ?? You can now rent complete SUP board packages for paddling on the Kettle River. Located just an hour north of the Minneapolis – St Paul Metro in Sandstone, Minnesota with easy access to the Kettle River. You’ll have an awesome adventure paddle boarding to Hell’s Gate on the Kettle River. The excursion starts in Robinson Park in Sandstone, MN. From the upper boat launch paddle under the train bridge and continue another mile or so to the notorious Hell’s Gate on the Kettle River. With a stop at Wolf Creek Falls this rout could easily be extended from a half to a full day outing. Head down river from Robinson Park and after a mile and a half of paddling you’ll come to Big Spring Falls. This river wide waterfall is easily portaged on river right although most paddlers just stop to explore before paddling back upriver to Robinson Park. Again this can be a half day adventure or if your adventure spirit is high make it a full day on the river. Hard Water Sports now offers SUP board rentals for the Kettle River and Banning State Park. The Hard Water Sports guide shop is just a 2 minute drive from the Kettle River. Call 651 302 1774 to reserve a Stand Up Paddle Board for your next adventure. WHEN IS THE BEST TIME TO STAND UP PADDLE BOARD THE KETTLE RIVER? 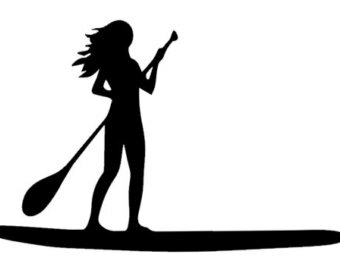 You can rent a paddle board package from Hard Water Sports starting in Mid May. The flow on the Kettle River changes quickly with the rain. At the normal summer flows the Kettle River provides an amazing adventure for SUP boarding. It’s always a good idea to call ahead to confirm water levels on the Kettle River are safe for SUP board paddling.